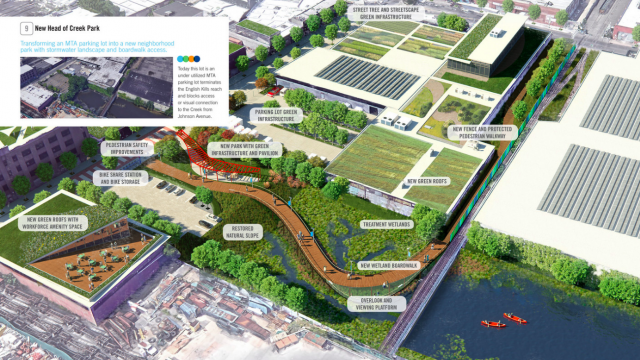 Over the past year, NCA worked closely with our partners at Riverkeeper and Perkins+Will to create the Newtown Creek Vision plan, a 150 page report chronicling priority issues and 85 proposed projects to address Remediation, Restoration, Recreation and Resilience. The report builds upon decades of planning and visioning efforts by numerous community members and organizations; framing ideas in the wake of upcoming Superfund remediation and Clean Water improvements. We look forward to continuing these planning conversations with local residents, businesses, agencies and elected officials. Learn more about the process here. View and Download the Vision Plan Document Here.